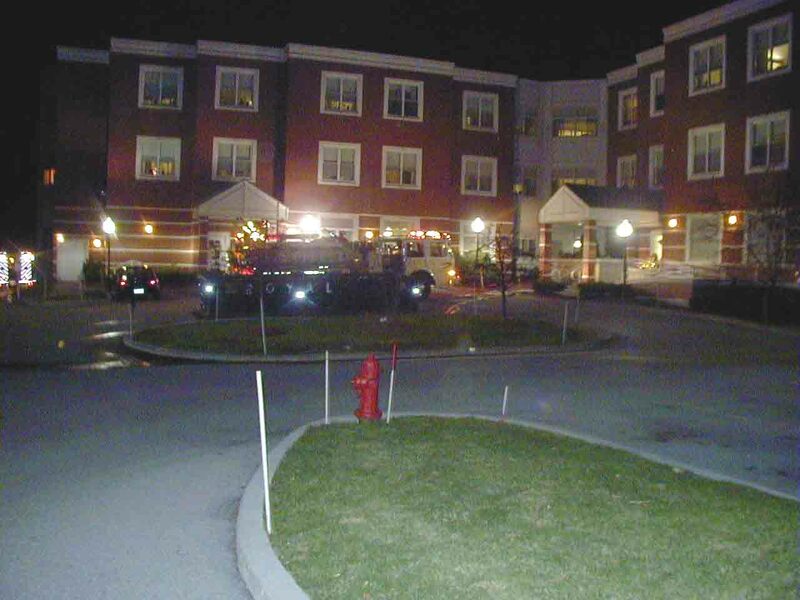 Fishkill, N.Y. - On Sunday December 5, 2004 at about 7 pm, the Rombout Fire Department and Alamo Ambulance were sent to the Wingate at Dutchess Nursing Home in Fishkill for an odor of smoke on the 2nd floor of the building. 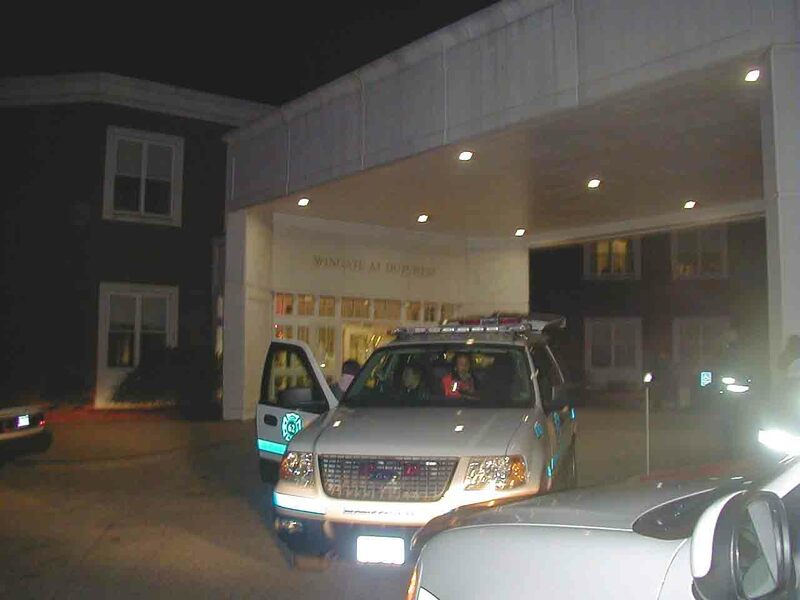 While responding an automatic fire alarm also came in. 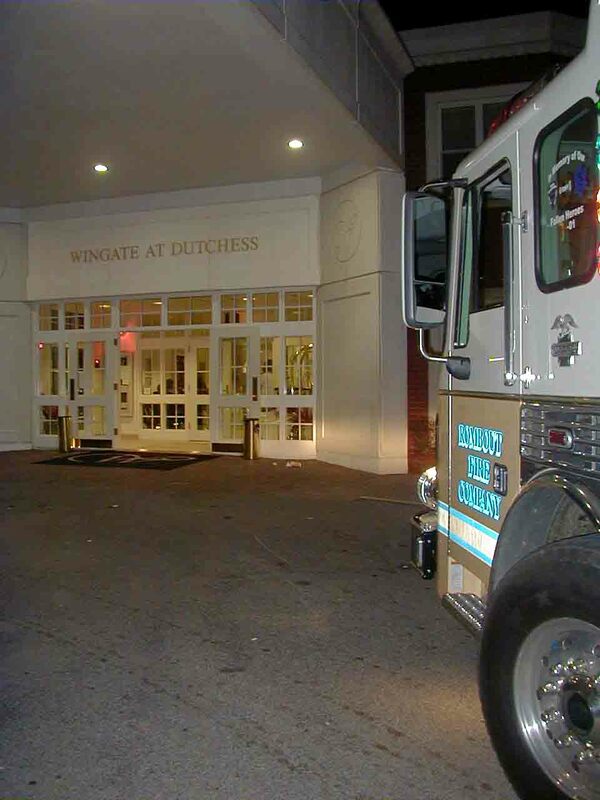 Upon arrival, the firefighters found a small fire in a 2nd floor bathroom which was quickly extinguished. 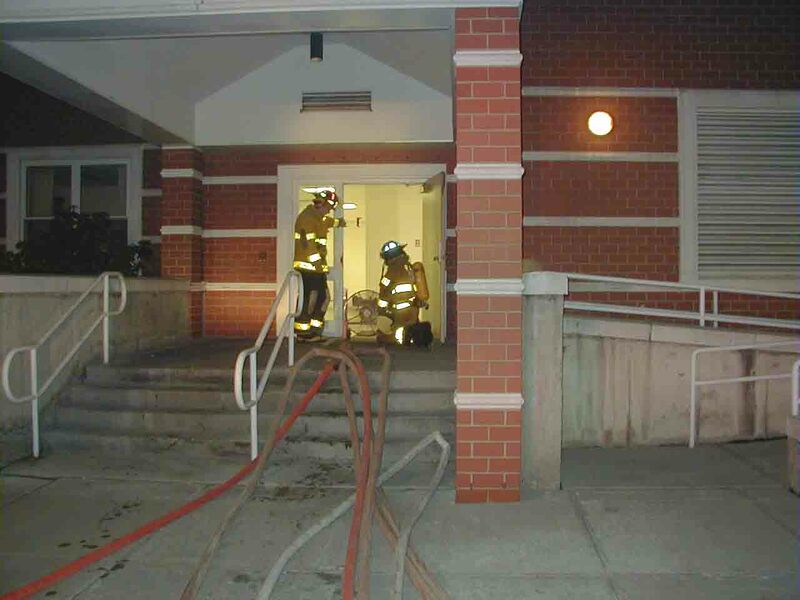 While checking the rest of the building, a second, and larger active fire was found in a basement office area of the facility, with smoke quickly starting to fill the building. 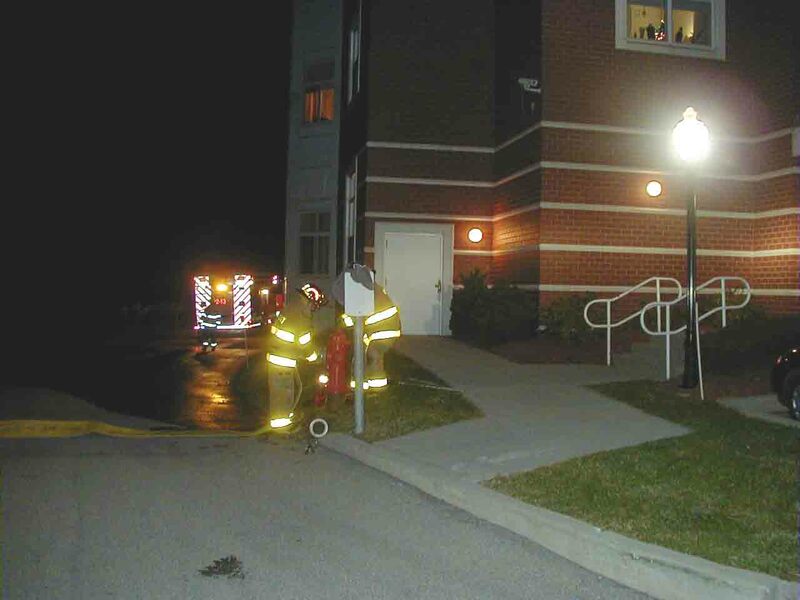 Rombout called for additional manpower from the Village of Fishkill Fire Department and together with the building’s sprinkler system were able to stop the fire from spreading. Initial evacuation of the affected areas was also immediately started, moving the patients to unaffected sections of the building separated with fire walls. 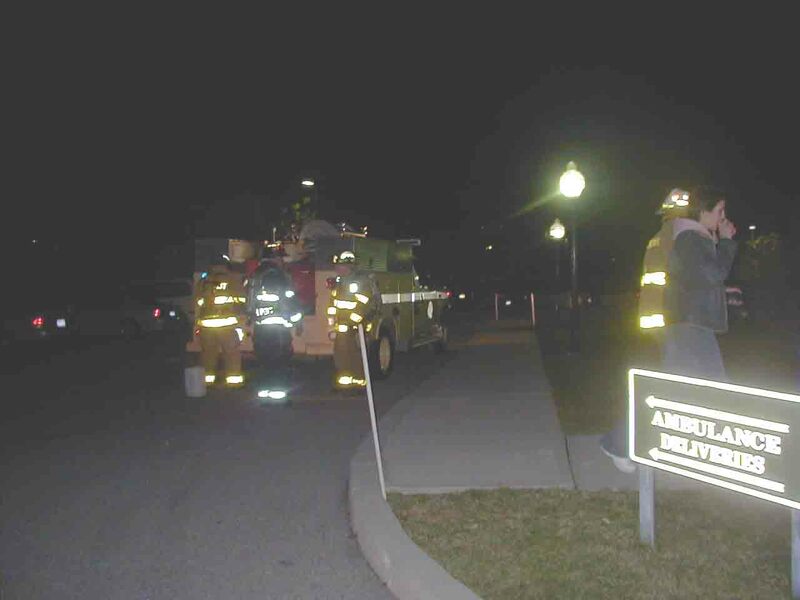 No injuries were initially reported. The cause of both fires remain under investigation by the Town of Fishkill Police and the Dutchess County Fire Investigation Division. 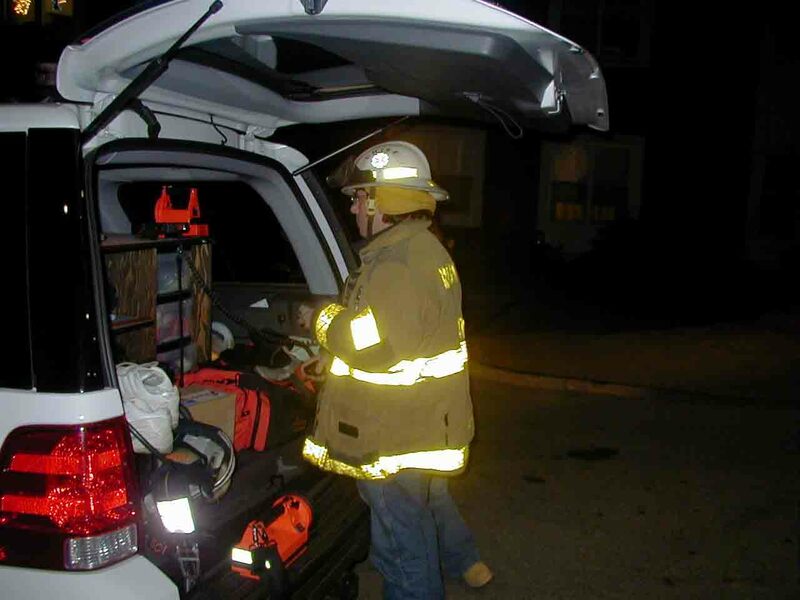 The North Highlands Fire Department provided station coverage for Rombout.